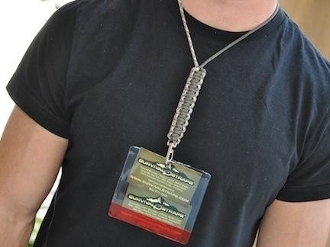 It is unique, different, and looks a little tougher than your typical badge lanyards. They are fully adjustable, so you can wear your ID as low or as high as you would like. They come standard with a swivel spring clip for attaching your ID badge. We also have these available with a breakaway attachment for safety if you need it.